If you are going to spend thousands of dollars on expensive professional musical instruments and equipment, it only makes sense that you store your gear like the pros do. You need to take careful consideration to many factors that go into keeping your gear safe. Here are five tips that you should utilize to keep your gear in top condition. Don’t store your equipment in an area that is susceptible to changing or drastic weather conditions. Moisture, mold, and other weather-caused conditions can quickly ruin your expensive equipment. If you plan to purchase or rent a storage unit, you need to keep climate control in mind. Many storage units that are inexpensive don’t offer protective features. Sure, it may seem like you are saving money, but if weather damages your equipment, you are not saving much money. It is best to invest in a storage unit that can protect against the elements and offer humidity control. Humidity is also a major concern, especially for wood instruments. Guitars and pianos can become warped due to humidity and temperature. Ideally, you need to keep humidity between 15 and 80 percent. If the room is too dry, it can crack the wood. If it is too humid, it can expand the wood. The same goes for temperature. You need to keep the room between 50 and 80 degrees. This will prevent cracks, melting and other damages. 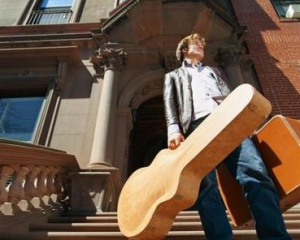 Each instrument should be in an appropriate case that will protect that particular instrument. For example, hard shell cases often prevent moisture from getting to the guitar. They also do a good job at regulating the temperature with special insulation. If it’s possible, add a polyethylene bag to further protect against humidity. Tarps can help protect large instruments, such as pianos, from dust and moisture. Make sure the tarp is properly covering every aspect of the instrument. Instrument hangers keep the guitar off the ground. Doing this saves the guitar from collisions with other objects and can even be a cool decoration for your home. These hangers are inexpensive and easy to install. Custom road cases are sturdy and professional. Unlike hard shell cases, road cases have a variety of uses and offer more custom areas of storage. They are especially useful if you plan to travel with your instruments or musical gear. Choose one of these top five ways to store your music like a pro. The main thing to keep in mind is that humidity, temperature and climate all play roles in protecting or damaging instruments. Always keep your gear in an area with controlled climate.